How many of you started your day in total chaos? What were some of the things that kept you from having the type of morning you dream of? Lost keys and bookbags, oversleeping, too much to do with not enough time – all contribute to morning chaos. Most of the things that kept you from having a great morning were preventable. Consistently stress-free mornings don’t just happen. They must be planned. Let’s go back to the night before. When the family comes home of an evening, bodies aren’t the only thing that come in the door, a host of stuff follows them – papers, information, questions, belongings. If you don’t have what I call a “Command Center” to house all of that stuff, problems will arise. Morning chaos will result. Simple items to set up an effective command center. 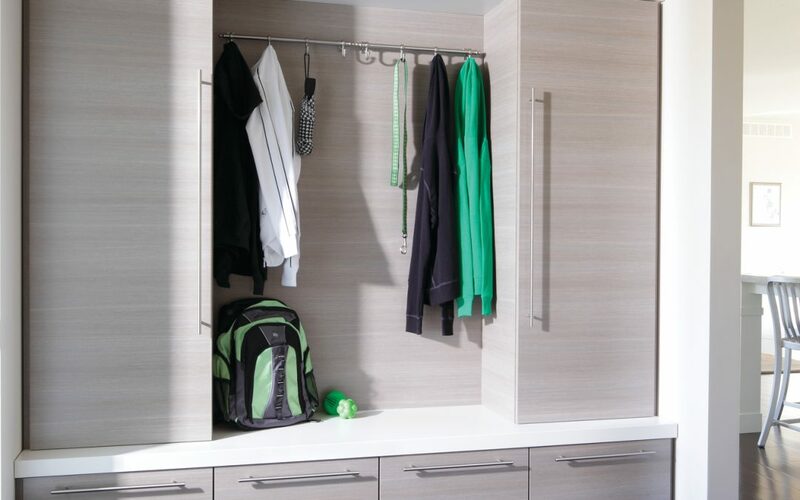 Hooks and cubbies – Set up a central spot, preferably by the door everyone uses to leave the house. Items that are routinely needed each morning must have a specific home. Install hooks and storage cubbies. Think shoes, coats, backpacks, sporting equipment, briefcases, purses, etc. Basket or file holders – A few well placed baskets for items such as gloves and hats make it a great grab and go option. Wall mounted file holders for papers that need to be signed and returned. You can use one as an “In” box and another as an “Out” box for competed paperwork. Calendar – Sure, most people keep track of dates on their phone, but a wall mounted calendar is great visual reminder. You can even use a chalkboard or dry erase board in place of a calendar. Some options even have a small cork board attached for reminders (or pictures) that can be attached. Action. You have your designated spaces for important items. Now set up the systems to ensure you DO the things that need to be done. Set a habit to check the in basket every evening after supper. Sign any papers that need to be returned to school the next day. Make phone calls, send emails, etc. Write any upcoming events in the calendar. Maintenance. As seasons change, so do shoes and coats. Place items that you aren’t using in another area. Otherwise, the hooks will become cluttered and unusable. Aim for an empty in basket every day, if that’s not possible clear it out once a week. Following these few simple routines will take only minutes each evening but will save you many steps each morning. The main idea is that possessions and information you use daily have a place to rest and everyone knows where that place is. And remember that setting up systems is only the beginning. All systems require an action and maintenance plan to truly work. Good luck. We’d love to see pictures of your command center and hear about what works for you.